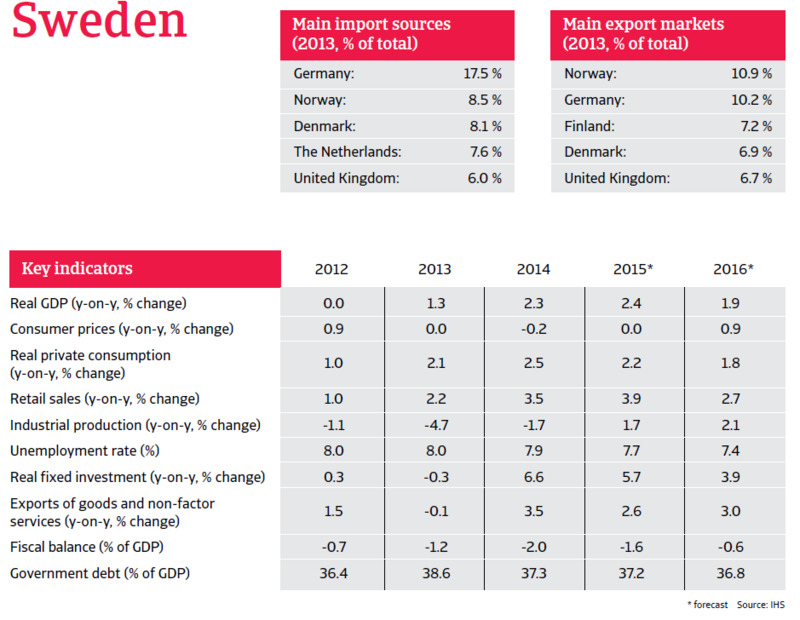 The Swedish economy is set to grow by 2.4 % in 2015, with industrial production rebounding after three years of decline. Household consumption and investment growth are expected to continue. After two years of increases. 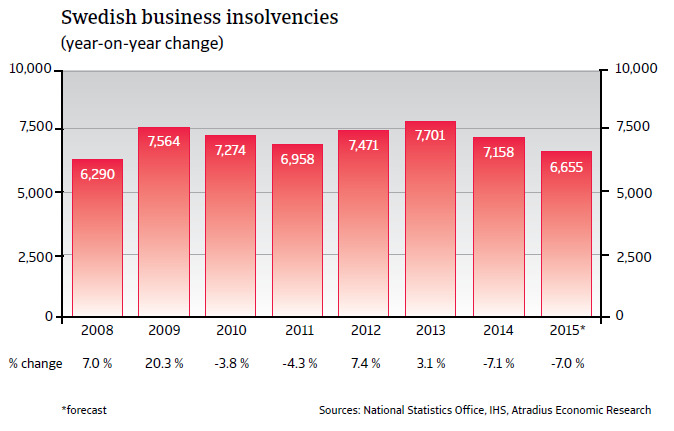 Swedish business insolvencies decreased 7 % in 2014. It is expected that this improvement will continue in 2015. 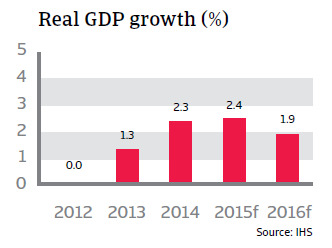 The Swedish economy is set to grow by 2.4 % in 2015, with industrial production rebounding after three years of decline. 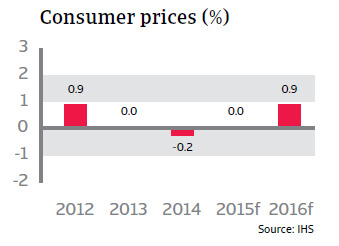 Both household consumption and investment growth are expected to continue, although at a lower rate than in 2014. The main problem currently facing Sweden is deflation as the country is set to experience its third consecutive year of falling consumer prices. This is intensified by the appreciation of the kronor relative to the euro which accelerates deflation and makes exports more expensive and thus less competitive. Swedish authorities have voiced concerns that ongoing deflation could adversely affect the economic performance, as consumers have an incentive to delay purchases and consumption until prices fall further. In order to combat deflation and to weaken the currency the Swedish central bank has repeatedly lowered the repo rate since July 2014. In March 2015 the central bank extended its expansionary monetary policy by lowering the repo rate into negative territory (-0.25 %). Additionally it announced a quantitative easing program of buying 30 billion kronor worth of government bonds, which is intended to lower bond yields and to trigger more lending. 33% of survey respondents in Sweden (compared to 20% in Western Europe) consider a fall in demand for their products and services as one of the greatest challenges to business profitability in 2015.